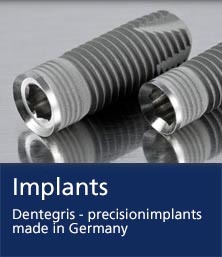 The Dentegris Germany GmbH in Duisburg arose from an initiative of long-term implant professionals from surgery, prosthetics and sales with the idea to release ​​a straightforward, safe and user-oriented Implant system to the market. 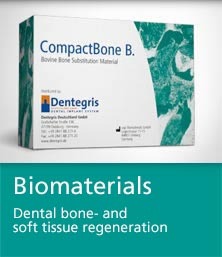 The Dentegris implant system has rapidly established itself and is within a few years risen to a solid Implant market size in the German. Our success is based on the basic principles to offer practical oriented products at competitive prices and to support our customers at a high level with a constant readiness to serve. 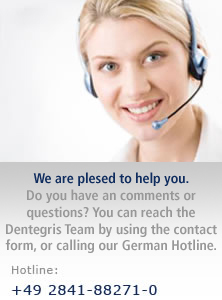 Production in Germany provides the high quality, which has Dentegris prescribed. All production processes and products are subject to continuous quality control. For the development and optimization of products we are in constant, close contact with surgeons, prosthodontists and Dental technicians. Well-trained and highly motivated employees are the backbone of Dentegris and ensure Customer intimacy, which is based on trust and reliability. The high level of customer loyalty and a barely measurable Employee turnover are exceptional in this industry and speaking for itself.